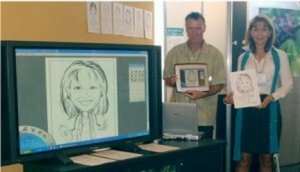 Professional cartoon artist or cartoonist who can draw quick fire caricatures of your staff and guests. Great for cocktail hour, festivals, bus trips, wedding receptions, trade shows, private parties and corporate events. 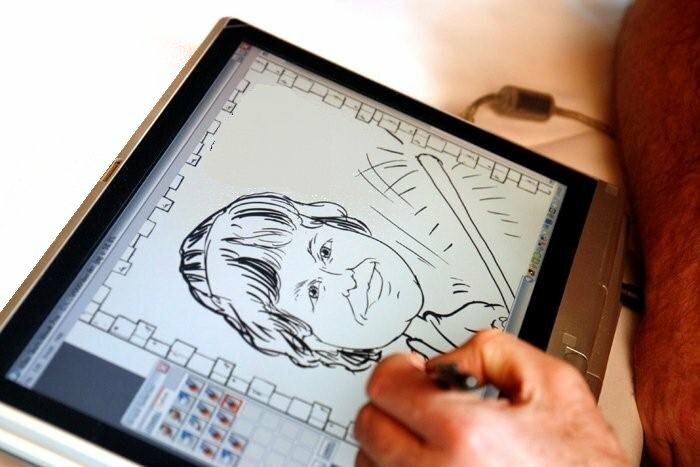 Our Cartoon illustrator offers drawing while roving around the room or stationery drawing where the guests come to him. Great all size events from private parties of 10 guests through to large scale outdoor festivals, we can offer comic cartoons using the guests face and putting them into any style of dress to match the theme of your event. This is a great way to guarantee the delegates at a trade show will not through away your promotional material. Give us A4 sheets with your company logo and message across the bottom and our cartoon artist can draw the delegate's face onto the page showing them using your product! He can use templates on his tablet computer to get through more faces per hour. A fabulous way to keep the guests occupied and entertained after the ceremony while the bride and groom go out for their formal photos. A great conversation starter to get guests talking together and introducing themselves with some shared fun of these customised cartoons. Here again, they can be pictured in their own vocation or matched to the dress style of your party theme. 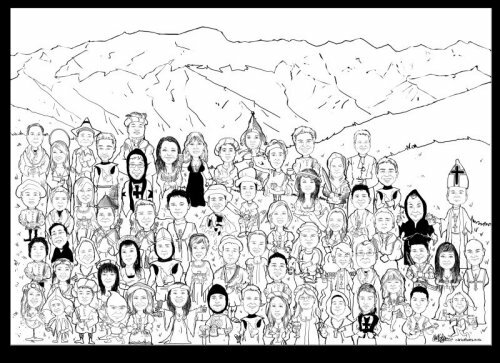 Makes for a great memento of the day with each guest pictured with the birthday VIP. 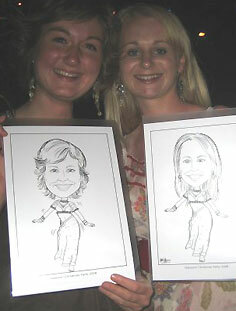 The cartoonist can draw your ball guests in their beautiful clothes making for a great souvenir for the night. Let him use his tablet computer for multiple friends' faces and he can print one off for each friend. While you move from one venue to the next, let our illustrator tickle the imagination of your guests with some quick faces - it makes for great mobile entertainment. Drawings can be done using either traditional paper and pen, or a tablet / projector set up. This is a great way to draw a crowd to your trade show or conference expo stand. It’s also perfect entertainment for your Christmas party. With the computer tablet guests can watch the drawing on the projector and see it materialize before their eyes - And everyone gets a unique personalised gift to take home.